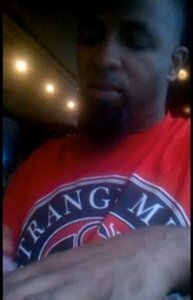 Always putting his fans first, Tech N9ne takes hours out of his day to sign merchandise, like the new All 6’s And 7’s album. For fans who pre-ordered the album, they received one with Tech’s signature. In Tech’s YouTube video, he’s sitting, signing, and jamming to some of his favorite music: “Five To One” from The Doors’ album Waiting For The Sun, even singing along to the youth-movement anthem. It’s things like this, signing items a thousand times over, that make the underground king one of a kind. He is loyal to his Technicians, and the time he sets aside for them is beyond what most artists would ever consider. Technicians, you have a hardworking and driven leader. Did you ever think it was someone other than Tech N9ne signing all of these copies?